Indian Space Research Organisation (ISRO) lost communication with Chandrayaan-1 on August 29, 2009, almost a year after it was launched on October 22, 2008. WASHINGTON: India's first lunar probe - the Chandrayaan-1 spacecraft - which was considered lost, is still orbiting the Moon, NASA scientists have found by using a new ground-based radar technique. 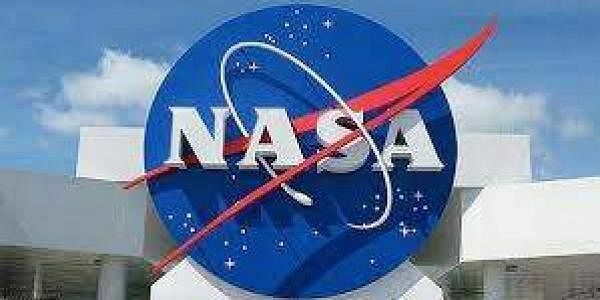 Now, scientists at NASA's Jet Propulsion Laboratory (JPL) in California have successfully located the spacecraft still circling some 200 kilometres above the lunar surface. "We have been able to detect NASA's Lunar Reconnaissance Orbiter (LRO) and the Indian Space Research Organisation's Chandrayaan-1 spacecraft in lunar orbit with ground-based radar," said Marina Brozovic, a radar scientist at JPL and principal investigator for the test project. The Chandrayaan-1 spacecraft is very small, a cube about 1.5 meters on each side - about half the size of a smart car. Although the interplanetary radar has been used to observe small asteroids several million miles from Earth, researchers were not certain that an object of this smaller size as far away as the Moon could be detected, even with the world's most powerful radars. Chandrayaan-1 proved the perfect target for demonstrating the capability of this technique. To find a spacecraft 380,000 kilometres away, JPL's team used NASA's 70-metre antenna at NASA's Goldstone Deep Space Communications Complex in California to send out a powerful beam of microwaves directed towards the Moon. Then the radar echoes bounced back from lunar orbit were received by the 100-meter Green Bank Telescope in West Virginia. gravitational pull) that can dramatically affect a spacecraft's orbit over time, and even cause it to have crashed into the Moon. However, with Chandrayaan-1, the radar team utilised the fact that this spacecraft is in polar orbit around the Moon, so it would always cross above the lunar poles on each orbit. On July 2 last year, the team pointed Goldstone and Green Bank at a location about 160 kilometres above the Moon's north pole and waited to see if the lost spacecraft crossed the radar beam.